So it definitely was longer than a week! But I fully believe that everyone that took part benefitted from it. Some people voiced fears about going in for the surgery, others helped those with stories of hope, I definitely learnt something new! Exercise with an ostomy – do you play any team sports or strenuous exercise with your stoma? What do you do to keep fit with an ostomy? Do you have any hints and tips? Well I’ve been meaning to go to pilates and yoga classes but everything just gets in the way. I’ve been swimming, hiking, walking and done a bit of jogging. Currently 00Steve, Ra-Ra and I are playing Pokémon Go for the walking. If I was doing something I wasn’t comfortable with then I would wear a support belt and/or take my time. How long were you on the operating table? What pain relief were you given? What is the best thing about living with a stoma? Being able to have my life back, waking up without pain, being able to fall asleep! Being able to play with my toddler. What is the hardest thing about living with a stoma? Having to get up in the night because it’s ballooned up and that’s when I get leaks. Also I’ve been getting minor blockages that last a day or so. They are getting pretty damn annoying. Can you feel your stoma? Should it bleed? When the output is too thick or too watery then yes I can feel my stoma and it still weirds me out! It’s perfectly normal for your stoma to bleed slightly when you are cleaning it and if the peristomal skin is sore too. 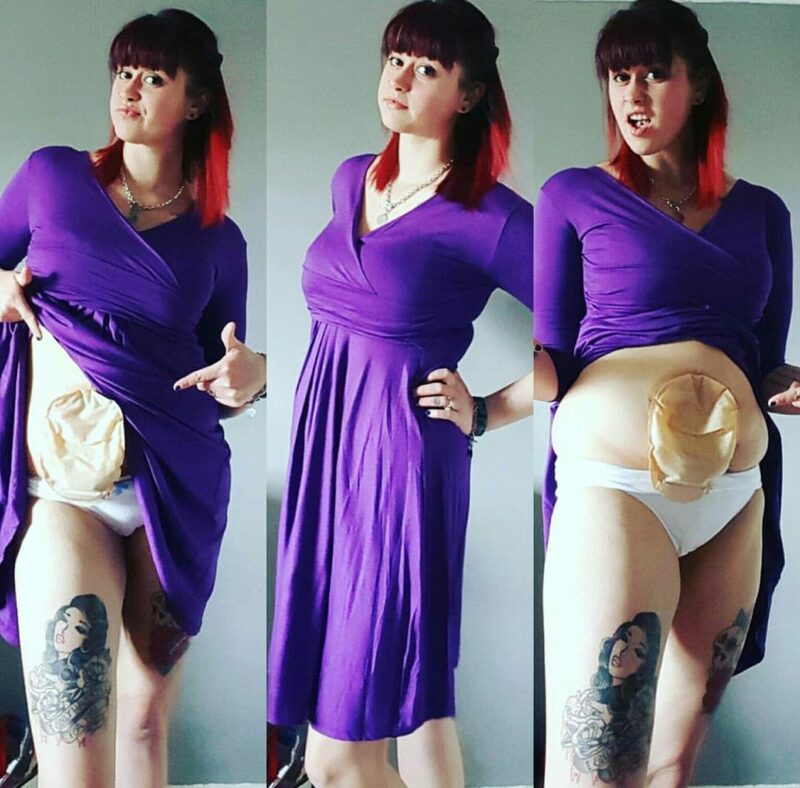 I can’t have a reversal which is fine for me because I fought so hard to not have a loop ileostomy. But I have had a jpouch, I had that for 8 years and I honestly don’t feel like I got any relief with it. So when the colitis came back that was it! It had to go! Have you ever had a hernia? What caused it? Do you have any tips? Thankfully not, although I’m suffering alot from sharp pains above and below my stoma which is disconcerting to say the least. But I would suggest maybe getting support wear that is correct for your activity or lifestyle. There are plenty to choose from. Have you had any post surgery complications? Thankfully once again nope! Other than the joint pain flaring up, the minor blockages and bouts of sore skin I’m the healthiest I have ever been. How do you feel about your illness, health, quality of life post surgery? My quality of life post surgery is amazing, I’m so happy about it. My health is fine too which is great and my illness well it is pretty much cured now. Well unless I was unlucky enough to contract Chrons too.